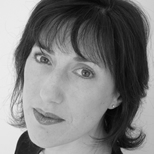 Gill is an actor, director and teacher of the performing arts with many years' experience. After completing her MA in Performance Arts she specialised in directing physical theatre adaptations of classic and contemporary texts in the UK and in Europe. Gill's practical and theoretical research interests concern the inter-relationship between adaptation practice and theory. Her most recent production, Sound and Fury devised in association with Volcano Theatre, interrogated the inter-textual relationship between the Shakespeare's Macbeth and Sarah Kane's Blasted and toured to the Shanghai University Arts Festival in 2011. Gill's pedagogic research centres on an exploration of inter-cultural performing arts practice in education and, in particular, developing new methodologies for delivering language and cultural education through drama and movement practices. She has worked as an arts education consultant on a range of projects with London theatres including the Almeida theatre and the Young Vic and in 2001 became a founder member of Animarts' - an arts research project investigating the creative discourse between artists and educators. Gill has taught in a variety of educational settings including lecturing on the MA Arts Management at Birkbeck and the MA in European Classical Acting at Drama Centre. She is LSBU's Acting Head of Division: Arts and Performance; Course Director BA Drama and Performance; and Artistic Director, LSBU Student Theatre Company.